“Mayday, Mayday, Mayday! If anyone can hear my voice, there has been a major underground explosion in the Mine here on Graviton Prime. A group of Colossal stone creatures tunneled up from deep beneath the surface and are wreaking havoc. The few remaining miners are panicking and we have no weapons that can damage these creatures. 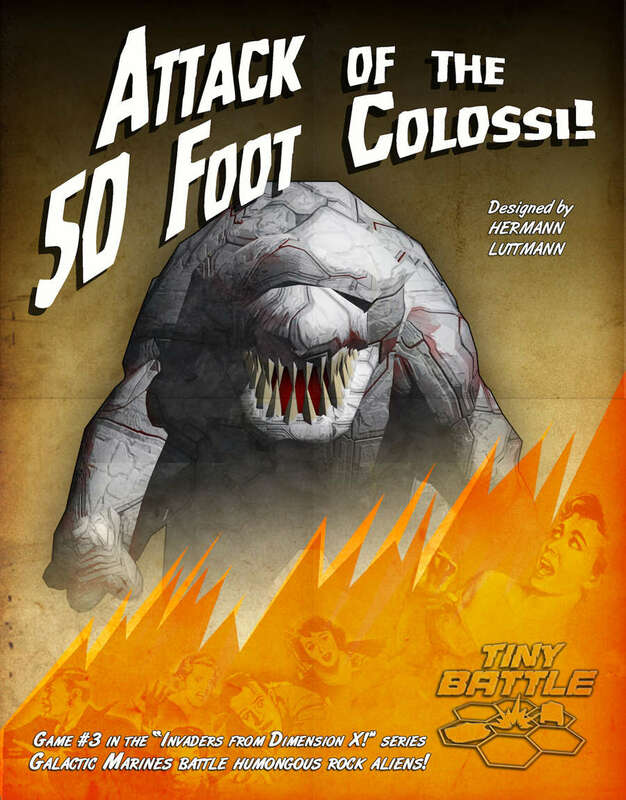 If anyone is out there, please, we need your help!” --- Colby Manzo, Mine Boss - From the fabulous minds of Hermann Luttman and Colby Duerk, Attack of the 50 Foot Colossi is the much-awaited follow up to Invaders from Dimension X and Space Vermin from Beyond. Set in the same universe, Colossi provides players with ore carriers full of solo fun and excitement.